The Simplicity Company was established in 1922. That’s over 80 years old! The Simplicity brand has been on the S.A. market for almost 40 years. Alrite started handling the product in 1998 and has sold the product exclusively in South Africa ever since. Simplicity lawn tractors are designed to give the perfect finish to your lawn and they pride themselves on the quality of their product. Simplicity products are sold exclusively through specialized lawn and garden outlets worldwide and are called “The Dealer Line”. It is a top quality product handled by professionals who offer top quality service. The new Regent lawn tractor model has all the features you would expect of a top-of-the-range lawn tractor and more. Simplicity – the way to a beautiful lawn. Probably the most prestigious brand in our range; Massey Ferguson has a proud and respected heritage. Massey Ferguson has been the world’s leading agricultural tractor brand for more than four decades. Known for their high quality and reliability they are built to last. The same can be said of the Massey Ferguson lawn tractor range. The products are class-leading in all respects and have many innovative features that further enhance their reputation. The newly-launched 2500 series lawn tractors have high powered engines and hydrostatic gearboxes. Their steel bonnets, cast iron front axles and rugged construction are further examples of their quality. They offer you the best brand and the best cut. Massey Ferguson – exceptional lawn care equipment. First established in 1945, Agria has continued to provide well built machinery for the small farmer. Their range of power hoes and sickle bar mowers have a quality that is unmatched by any other product. The products are ideally suited to small-scale operators looking for a product that will last. Agria has been in the South African market for over 38 years and has been handled by Alrite for over 8 years. German manufacturers are known for their product quality and Agria is no different. The popular seller in the range is the Agria 900S power tiller. Though small in size it packs a punch and is ideally suited to the plot owner who wants to plant vegetables or flowers. The heavy-duty gearbox design allows it to offer many years of trouble-free service. Agria – quality that lasts. Efco’s holding company, Emak, was founded in 1992 but the Efco brand is 38 years old. Alrite began handling the Efco range of chainsaws, trimmers and brushcutters in 1990. Emak is one of the top players in the tough European market and is known for its range of high-quality innovative products. Once again they have produced an exciting range of products for the new season ahead with the Efco Stark 42 brushcutter bound to be the key product in the range. An innovative, high quality brushcutter designed for any application, providing excellent performance and value for money. Efco – machines hand in hand with nature. Forty years ago the first Mirage lawnmower was produced by Alrite. I is our oldest brand and the one we are most proud of. Mirage products have always been synonymous with good quality and proudly made in S.A. The Mirage 27S and its success or the Mirage M700 ride-on mower were flagship products for the Mirage brand and even today some of them continue to operate despite being over 30 years old. Our most popular and famous unit today is the Mirage D46. 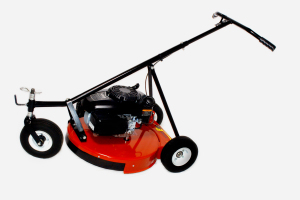 Encompassing good quality and practicality in a domestic lawnmower, its design features make it the best in its class. Mirage – 40 years in S.A.
Earthway is recognized as the industry leader in fertilizer spreading technology and quality Lawn and Garden products are used by homeowners and professionals worldwide Earthway is the leading manufacturer of private branded broadcast spreader in the world.